No matter how little you run, you probably don't do it to destroy your body. And yet lots of people who run skip stretching, the all-time best way to prevent injury, reduce muscle soreness, and help you run more efficiently. 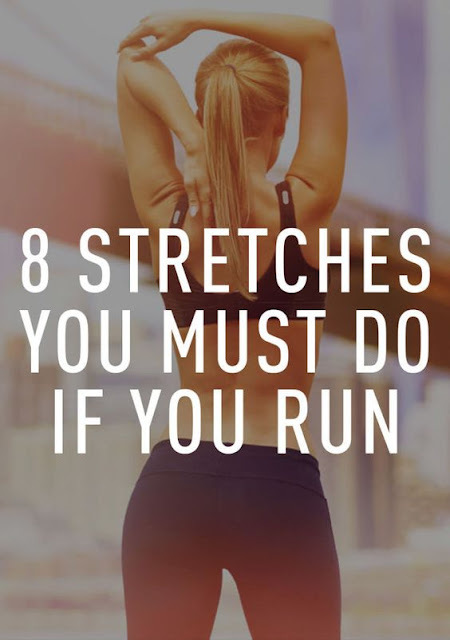 Even if you only clock a couple of miles, you should still stretch before and after running, according to Debora Warner, founder of Mile High Run Club a fitness studio dedicated to running in New York City. Before you get started, pregame with a two- to three-minute jog, then transition to the active dynamic stretches below, which are designed to both loosen up the joints and continue to warm up the muscles. Perform each for 30 seconds before you move on to the next one. Then get on with your run.